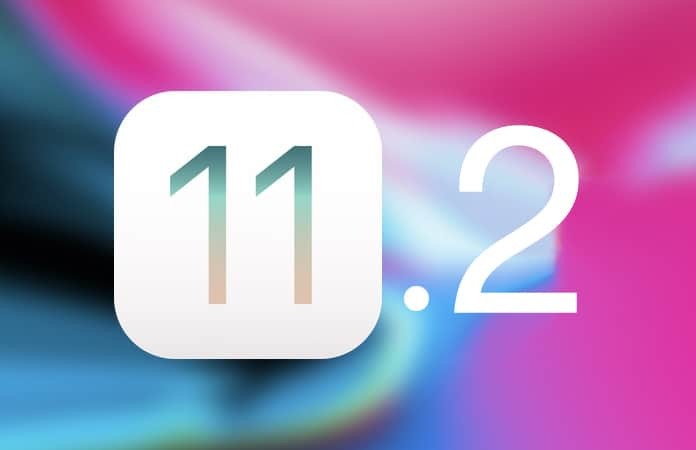 Finally, you can download iOS 11.2 IPSW final version for your iPhone, iPad and iPod touch. In this article, you can read what is new and how you can install iOS 11.2 on your iDevice now. Today, Apple has released a new update to the most modern mobile software platform – the iOS 11.2. The new update was released just hours after the auto reboot bug was discovered. You can read the complete changelog below. 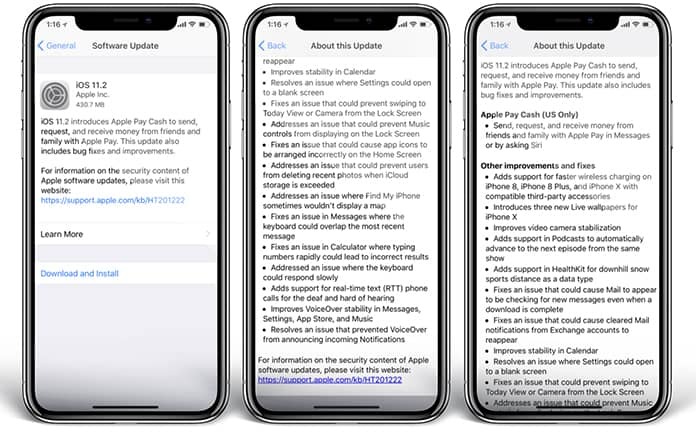 Primarily, this update was released to fix the auto reboot iOS bug from the iOS 11.1.2 version and enabling the fast charging option for iPhone 8, 8 Plus and iPhone X. If you want to use the fast charging on your iPhone X, 8 or 8 Plus you can follow our full guide here. You need 50% battery life at least to update your iPhone, iPad or iPod Touch. If you have less than 50% then connect your device to the charger. Make sure you have a strong WiFi connection to download the iOS 11.2 update. Now, Open Settings -> General -> Software Update. Tap Download and Install to start the download process. After the update is downloaded, tap Install Now. Your device will be restarted several times. Now you can enjoy the new iOS 11.2 firmware on your iDevice. Connect your iPhone, iPad or iPod to iTunes. From the left top menu select your device. Now iTunes will prompt that an update is available for your device. Click on the Download and Update button. Leave your device connected to the Computer. iTunes will complete the whole process. After that, your device will be updated to iOS 11.2. 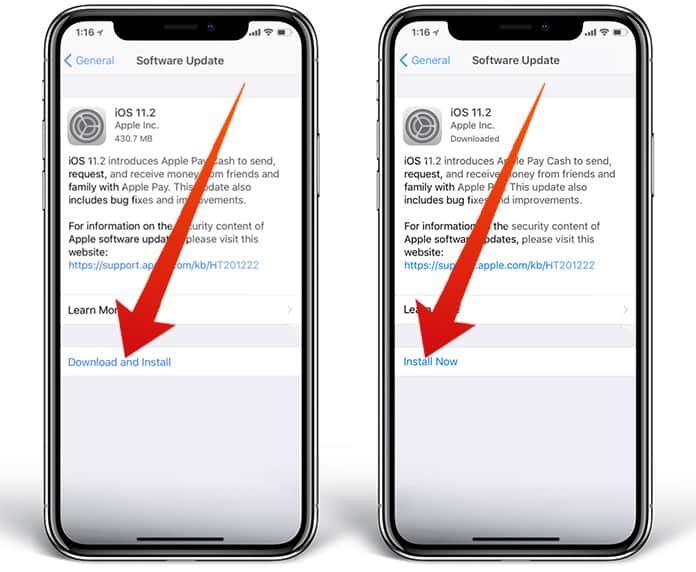 If your device stuck on Apple logo, recovery mode, boot loop or for any other reason you want to clean install iOS 11.2 version, then you can download the official iOS 11.2 ISPW firmware file and restore your device. To download the iOS 11.2 ISPW file, you can visit our download section page. I would advise you to go with the clean install option if you are dealing with a performance or battery problems. In a case everything is ok, then you can simply install iOS 11.2 using the OTA option.